How do people do the same thing every day? This may be the reason I can’t bare the idea of a “normal” job…But I’ve acquired one to lessen the dwindling bank account I suffer from. I feared reviewing and interviewing would take a back seat to this steady contract job. Hell no? Not when EPs come your way like Brick + Mortar’s Making Moves Volume 2. With the help of members from Motion City Soundtrack, they’ve brought about an EP that asks for no more than ten minutes of your time. If Cage the Elephant toned down and mated with Vampire Weekend, that’s what you’d get with Making Moves Volume 2. A trio of songs much like triplets. They share a genetic makeup, but each has something that makes it easy for their parents to tell them apart. “Bangs” is the oldest. It stands out most as it’s the strongest; you hope every other one is as cool as this one. The flow is steady and it doesn’t have to do much to impress. Although “Old Boy” lands in the middle, it’s the wild child; the baby. It bursts with energy and is always there for a good time. Then you have me, the middle child, “Other Drugs.” It’s there, it exists…but you forget. 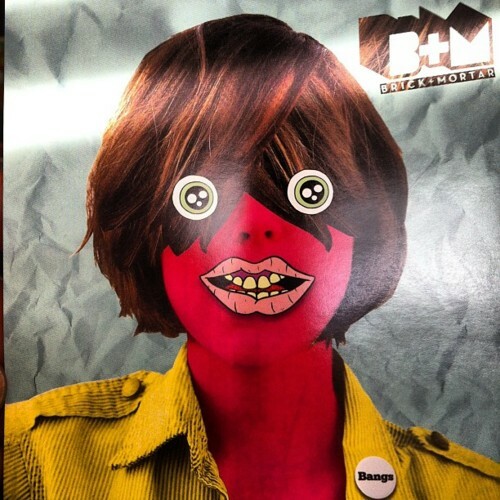 Brick + Mortar’s Making Moves Volume 2 is out June 19th jointly on Drexel University’s MAD Dragon Records and Motion City Soundtrack’s The Boombox Generation. It’s an EP riddled with sibling rivalry between three tracks that fans of Passion Pit and Matt & Kim will enjoy. As the title track “Summer, Hither” played, images of Milo and Otis in this newly imagined city came to mind. If you’ve never seen that cinematic gem, it’s laid back and woodsy. And if Panic! At The Disco was still going through that Pretty Odd phase but slowed down their sound, they could’ve written “Morning Song.” With all the folk and slow pace going around Summer, Hither, I didn’t expect to compare Sleepy Turtles to Muse. But one can’t ignore the way their voices together at the start of “Reason to Hope” sound a lot like that one Muse song. If The Tower and The Fools had a laid back cousin then it’d be Sleepy Turtles. This only resonated with me when “Being Small” started. Gold star for that one for bringing some humanistic qualities to the record. 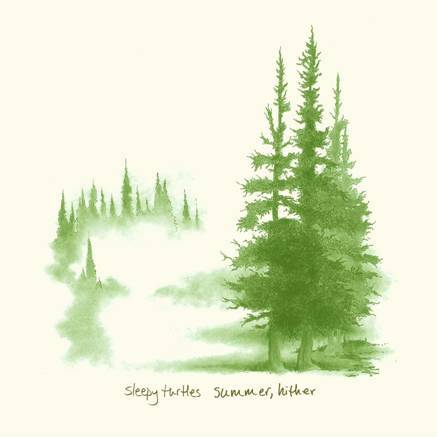 Sleepy Turtles’ Summer, Hither is out now on Autumn + Colour Records, and you can pick up a limited vinyl version of the record on July 10th. In the summer of 2011, I was introduced to PK and their album, Into the Roaring. Initially, I gravitated towards their music if only because their single, “London,” contained lyrics about my favorite beverage – ginger ale. My fondness for them quickly progressed like an arson ignited fire on the side of the 5, after our interview was completed and posted. Inevitably, a romance between PK and I blossomed, so you can only imagine my excitement when I learned about the release of their latest EP, The Lost Boy Sessions. The energy that propels The Lost Boy Sessions is never exhausted. This small collection of music is what the young summer sounds like – cool summer nights by the beach, friends, bonfires, and well…you can’t have bonfires or friends and not have a story or six to tell, especially if you only learning the pains of growing up. “Some Nights” and “Chase the Sky,” captivate this atmosphere best. Not only is the musicality of the EP revitalizing, but the lyrics are equally bright. While they’re not poetically complex, (though the band is heavily influence by literary themes), their candor is what makes them so accessible; everyone can find themselves in a PK song. Despite the constant comparisons to The Killers, PK’s lead vocalist, Travis Hawley, offers his own voice to the music industry. Hawley’s rang has matured since last year; his vocals on The Lost Boy Sessions are often times vulnerable and chill-sending. The breakdown in “Berelain,” is a superb example of these moments when the music is stripped and only a voice fills the air. “How long must I wait?” Well, The Lost Boy Sessions drops May 29th! Light the tiki torches and start your summer off with a dance to keep that broken heart beating.